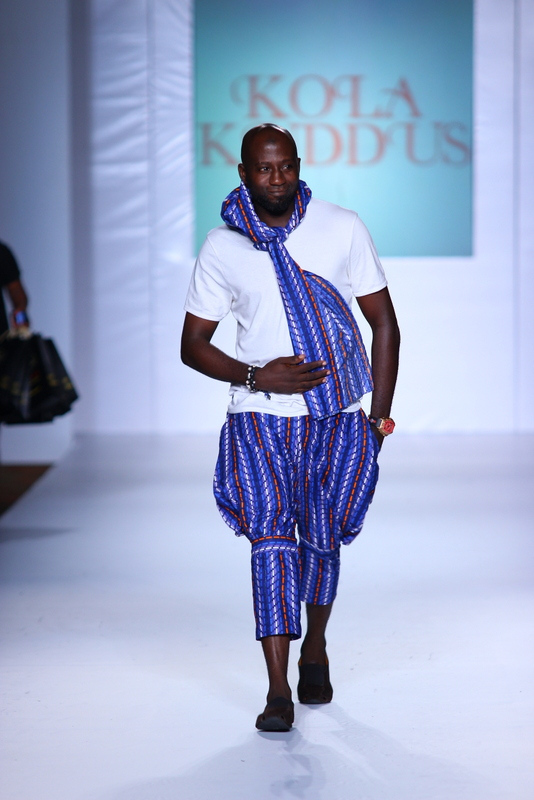 EXCLUSIVE: Kola Kuddus: Epitomizing African Trends Entwined In Global Glamour. Nigerian designers. #LFDW. Arise Magazine Lagos Fashion week. Kola Kuddus Couture is a brand, every fashion conscious individual with a taste for style uniqueness, is familiar with. Creative Director Yusuf Kola Kudus is one of the new breed Fashionpreneur set on entrenching new fashion standards and taking the Nigerian fashion industry to mega heights. The brand signature flawlessly constructed designs and quality fabrics, pays tribute to an ingenious marriage of modern, western and African fashion trends. On meeting the creative genius, I was amazed at the affability, insatiable quest for knowledge and humility of one so famed. 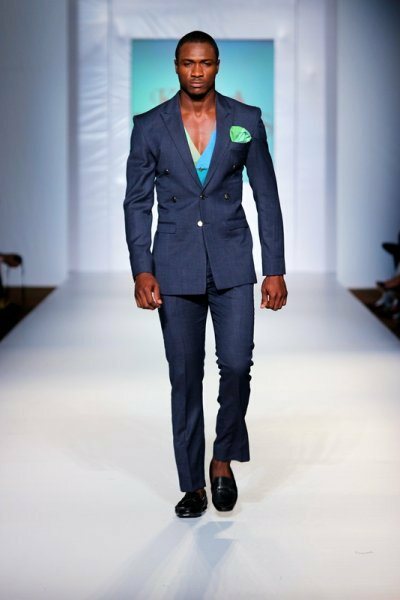 A Graduate of the prestigious London College of fashion and Central Saint martins; recipient of the Diamond Bank sponsored programme “Building Entrepreneurs Today” and scholar at Enterprise Development Centre, Yusuf Kola Kudus, is not just a designer but a business-mined man whose quest, to create a fashion dynasty on par with global standards is formidable and is to be admired/emulated. In this exclusive chat with Millicent Imade Arebun, the mentor to young creatives, speaks on his early days, evergreen fashion moments, current fashion projects and quality protection in the Nigerian Fashion Industry. I started my journey in fashion by being a personal shopper, but I had this urge to be more unique and to create another different atmosphere for men's wear, so I decided to create my own fashion outfit, that would stand out and make people more unique and more African in an urban way. I am a man that believe in empowering oneself with knowledge, so despite the fact that I had an innate flair for fashion and has studied philosophy in UNILAG, I decided to equip my self with all the knowledge I needed to make my passion a successful reality. I enrolled Nobel Afrik at Maryland and came out with a diploma in Dressmaking. Later I studied at City University London, Central Saint martins and the London College of Fashion where I did fashion design and production and a short course in personal styling for 3months. Apart from fashion being my passion, it's a career, it's what I want to use to take care of my family, buy cars and build houses. So the need to be an expert and know the nitty-gritty of the industry in order to make a success of my career was of utmost importance. I have been practicing fashion as a career since 2008, Just like every business, it's not been easy. Doing business in Nigeria is hectic. You pay rent, spend all your profit on diesel, manage staff, production, delivery, and customer care. When you start a fashion house, usually, you are the one sourcing for fabrics, and designs. I thank God we've been able to gain ground by doing exhibitions, fashion shows. We've been building a brand. Every business has its challenges and so far, it’s been good. 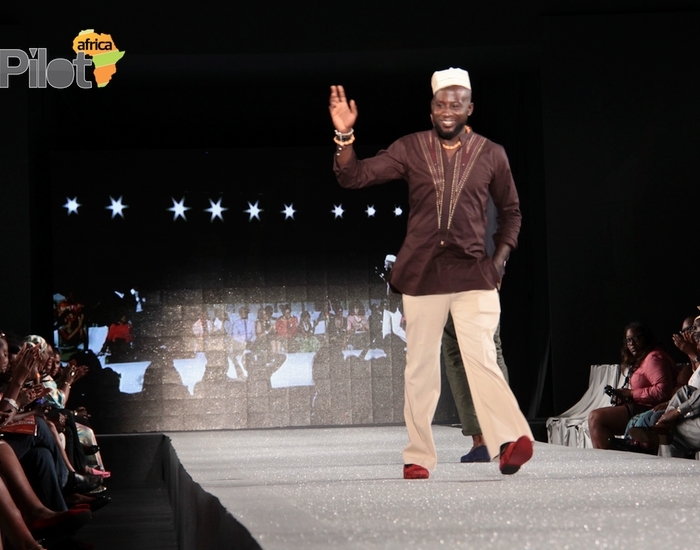 One of my most memorable moments was the 2012 Arise Magazine Fashion Week. It’s my first major one runway show and it was exciting. I has actually sent in my lookbook to Arise management team and they said that the quality of my work wasn't what they wanted. I felt low at first but it was like a motivation to up my design game, put in more effort. About a week to Arise, I got an email saying that my brand Kola Kuddus, had been picked to exhibit at the Arise Fashion show and I was even the opening act. it was a very nice experience for me. Another highlight was when I went for MTN Fashion show. They did a competition and I was the first finalist from Lagos. I was not the overall winner but I was the finalist in Lagos. A great moment was the International Fashion Showcase. I got an email saying they believed in my brand and that I've been picked among the 6 emerging designers in Lagos to showcase and represent Nigeria. I was very glad my brand is representing a whole 170million people. Its a pride. I did a course in Pan African University- certificate in entrepreneurial management. I was one of the top 5 in my class and I won an award of 3million naira. Views On Brand Quality And Representation In Nigeria. Last year, 88 designers were picked to showcase at the Olympics. I was among the 23 picked based on quality, designs, sewing ,and finishing. Our clothes had to met international standards for it to be picked. It gives me joy and pride and energy to work better. At Kola Kuddus, we love details. I love quality and good finishing. I've gotten a quality control manager to manage and oversee quality maintenance and preservation from the sewing to the finishing. My brand is an African inspired brand. My inspirations comes from the environment. I Started out designing both men's wear and women's apparel but decided that, I had to specialize in one and since I have strength in men's wear, I decided to specialize in it. Come 2015, we are working on a Diva collection. My first collection for 2013 is to be the International Africa collection, with renowned music artist and video Director JJCSkillz. My designs are very affordable for every class of the society. In our bid to ensure everyone can proudly rock a Kola Kuddus fashion staple we created three Kola Kuddus brand labels to cater to different class of individuals in the social spectrum. We have the Red, Yellow and Black label. They cater for different price ranges. The Yellow label is for the emerging middle class, black label is for the average middle class and the Red label is for the upper middle class. Personal Fashion Statement: I like simplicity, detail and smartness. Do You Wear Any Other Designer: I wear a lot of foreign shirts as I do not make t-shirts. I also patronize local brands. Signature Fragrance- Diesel-only for the brave, I want to start wearing it because of the story behind it. Beauty Routine- Have my bath, brush my teeth, wear my clothes. I use Vaseline.